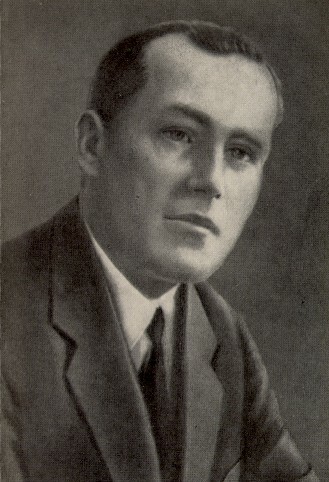 Dosvitnii, Oles [Dosvitnij, Oles’] (pen name of Oleksander Skrypal), b 8 November 1891 in Vovchansk, Kharkiv gubernia, d 3 March 1934. (Photo: Oles Dosvitnii.) Writer, literary critic. In 1906 Dosvitnii enrolled at Saint Petersburg University, from which he was expelled for revolutionary activity. During the First World War he was court-martialed and sentenced to execution for spreading revolutionary propaganda among the soldiers, but he escaped and reached the United States via Mongolia and China. In 1918 he returned to Ukraine via Japan and took part in the civil war in 1918–20 on the Bolshevik side. He was involved in underground propaganda work in Galicia and spent eight months in the Warsaw prison. From 1920 he lived in Kharkiv. In 1921–3 he worked as an editor of various newspapers. For some time he was the chief editor of the All-Ukrainian Photo-Cinema Administration. In 1927 he became chairman of the Playwrights' and Composers' Union. 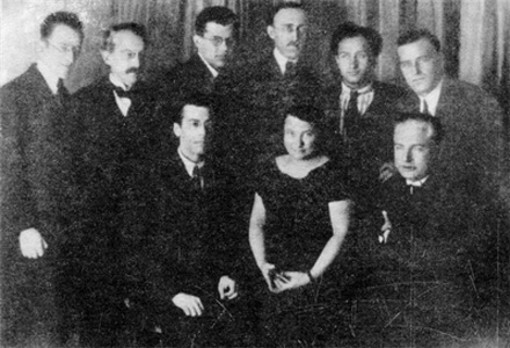 From 1925 Dosvitnii was one of Mykola Khvylovy's closest associates. 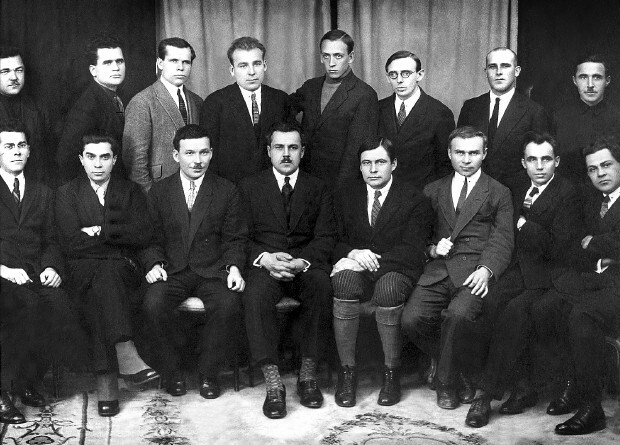 He was a leading member of Vaplite, from which he, along with Khvylovy and Mykhailo Yalovy, was expelled by order of the Central Committee of the Communist Party (Bolshevik) of Ukraine in 1927. Dosvitnii contributed to Literaturnyi iarmarok. During Pavel Postyshev's terror Dosvitnii was arrested and shot. Dosvitnii published several collections of short stories, among them Novely (Short Stories, 1920), Tiunhui (1924), Piimav (Grabbed, 1930), Novely (Short Stories, 1932), and Postati (Figures, 1930). Among his longer works and novels are Amerykantsi (Americans, 1925), Alai (1927), Hiulle (1927), Nas bulo troie (There Were Three of Us, 1929), Khto? (Who?, 1927), and Kvartsyt (Quartzite, 1932). In 1930–1 Dosvitnii's collected Tvory (Works) were published in five volumes. His work was not artistically brilliant, but the subject of travel, with its exotic elements (the action usually takes place in an Asian country or America), introduced a new theme into the Ukrainian prose of the time and made for interesting reading. Dosvitnii was rehabilitated in 1955. His Vybrani tvory (Selected Works) and Hiulle were republished in 1959 and 1961 respectively, Kvartsit was republished in Russian in 1963, and Nas bulo troie was republished in 1969. The fullest to date edition of his works was published in two volumes in Kyiv in 1991.